WW1 Imperial German Iron Cross Pair of Medals. 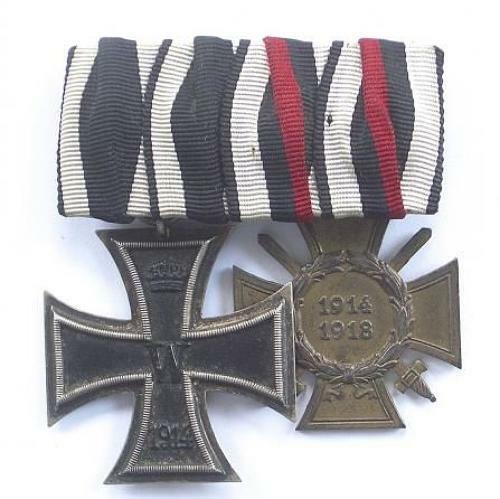 Prussian Iron Cross 1914 2nd Class and Cross of Honour 1914-18 with swords for combatants. Mounted as worn.